Applied Battlefield Concepts uses the Army's proven 'battle staff ride' training model to communicate historical examples of crisis decision making to business executives. A Department of the Army-designated Military Historian and career logistics officer with 8 years' experience in high-visibility assignments on the Department of the Army Staff at the The Pentagon, Ed also has over 25 years' of experience in designing and leading experiential leader instruction programs ('battle staff rides'). He is now partnering with former Wall Street analyst and military historian Steven Ossad in developing Corporate Staff Rides (CSR) that will help senior business executives make better decisions. An award-winning historian focusing on organizational transformation and leadership, he advised the producers of the PBS series "History Detectives," and the documentary "Salinger." 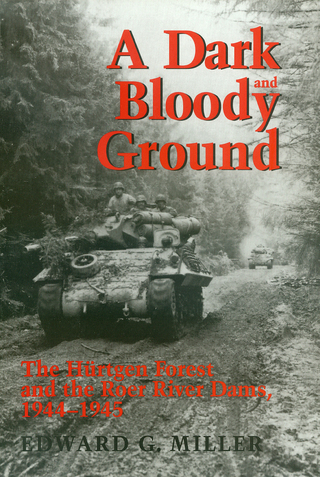 The Fox News Channel series "War Stories With Oliver North" featured him on its episode "Hell in the Hürtgen Forest," rebroadcast in 2018, and the Center for Army Leadership used excerpts from his book, "A Dark and Bloody Ground" for instructional purposes. He also reviews military history manuscripts for major publishers to help them ensure they maintain their reputations for quality and scholarship. While in the Army, he led development of logistical plans for Army operations in Eruope. He was also a member of staff of a hand-picked team of strategists reporting directly to the Deputy Chief of Staff for Operations and Plans, and he developed/implemented supply chain policy for classified special operations units. He advised a Presidentially-directed investigation of a Korean War incident, the Presidential Commission on Holocaust Assets in the U.S., and a review of retroactive awards of the Medal of Honor to WWII African-American and Asian-American soldiers. He helped establish the audit committee for the board of directors of the Defense Commissary Agency (a $5B grocery retailer) and managed Pentagon-level policy and regulatory oversight of the Army and Air Force Exchange Service (a $10B general lines retailer operating worldwide). He also led logistics units responsible for supply, maintenance and transportation support of nuclear-capable units in Germany. After his Army career, Miller directed the design, implementation and financial management of PC supply chain solutions for a Fortune 50 media company. He is now employed by a top-tier strategy and technology management consulting firm. Miller holds undergraduate and graduate degrees from Western Kentucky University. He is a resident graduate of the U.S. Army Command and General Staff College and his other military education includes the U.S. Naval War College (National Strategy and Policy Course) and the U.S. Air Force Special Operations School (Revolutionary Warfare Course). He is a Certified Knowledge Manager (CKM). 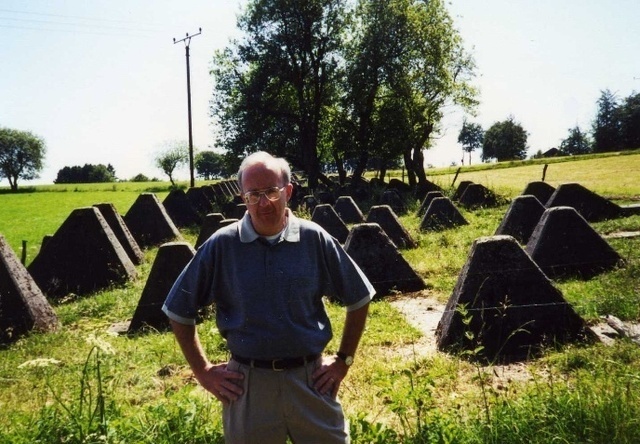 His award-winning book, "A Dark and Bloody Ground – the Hürtgen Forest and Roer River Dams 1944-1945," describes what can happen when senior leaders cannot visualize long term goals and persist in a misguided and misinformed campaign. 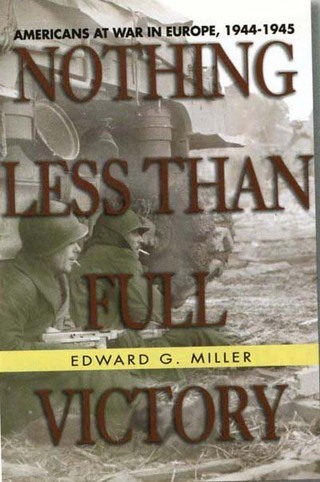 In "Nothing Less Than Full Victory," he uses small-unit case studies (such as D-Day, Metz, the Battle of the Bulge, Hürtgen Forest and Remagen) to tells how the U.S. Army transformed itself from an ill-prepared constabulary to a global force in just 4 years. Bad intelligence and haste led to landing fewer than 800 GIs on a beach held by several thousand Japanese soldiers in early 1944. American assault troops race against Japanese reinforcements to secure the first foothold in the Philippines in late 1944. See the April 2016 issue of America in World War II. GIs face off against German tanks in eastern France in December 1944. Appears in the September 2011 issue of Armchair General Magazine. The chain of decisionmaking that led to the Army's most disastrous WWII campaign appeared in the Summer 2010 issue of World War II Quarterly. Before the Battle of the Bulge, there was the Hürtgen Forest.